The Fest: a spectacular two-week lineup of podcasts live on-stage, in venues across Chicago. The shows take place before, during & after The Third Coast Conference. For a beautiful moment, each fall, Third Coast transforms Chicago into the center of the podcasting universe. Harnessing the energies & talents of audiomakers from across the world, The Fest pushes the boundaries of what a live podcast can be. Read on to see our fabulous 2018 lineup and sign up for our newsletter for new additions & exclusive sneak peeks. Imaginary Advice is an experimental storytelling podcast, written and produced by Scottish author Ross Sutherland. Each episode takes a different format, combining essay, fiction, poetry and memoir, as Ross explores the ways that stories shape our lives. For this special live edition of the show at Links Hall, Ross will be presenting a night of stories, essays and poetry never before heard on his podcast—plus, some (secret, for now!) special guests. Each piece is inspired by found video footage: ten seconds of an Irish news broadcast is transformed into a Renaissance painting, an old videotape of the Fresh Prince of Bel-Air reconnects Ross to his late grandfather, and a TED talk is pulled apart and rebuilt to analyze our dreams. Stories are our doors to unique and shared human experiences. Pero la llave para abrir esas puertas es el idioma. / But the key to open those doors is language. 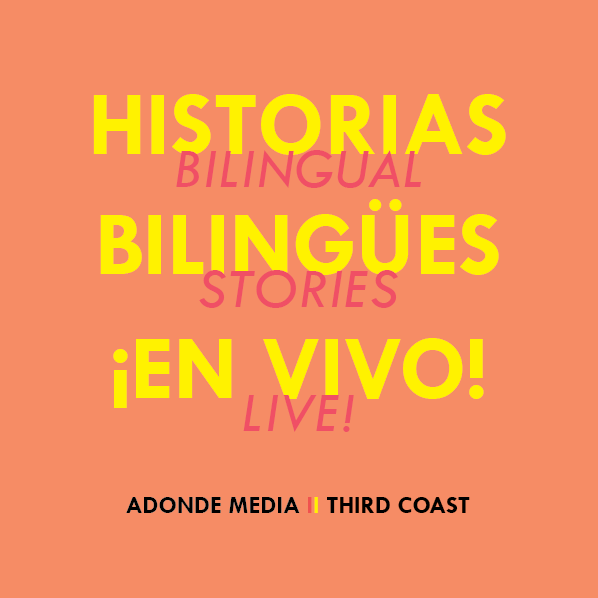 Third Coast is partnering with Adonde Media’s Martina Castro, host of the Duolingo podcast, to present an evening of Historias Bilingües ¡En Vivo!/Bilingual Stories Live! Join us for an intimate program at the Segundo Ruiz Belvis Cultural Center of stories that are never dubbed, never voiced-over, presented by and for bilingual (and Spanish-learning!) audiences, in all their beauty and complexity. This is an art form unto itself. This event is made possible by the Manaaki Foundation. You know how every day someone asks, “How are you?” And even if you’re totally dying inside, you just say “fine,” so everyone can go about their day? Terrible, Thanks for Asking is a podcast that does the opposite of that. Host Nora McInery asks real people to share their complicated and honest feelings — sometimes sad, sometimes funny, and sometimes both at once. Join us—The Fest & WBEZ's Podcast Passport—at Chicago’s Athenaeum Theatre for a new, live performance of the podcast, featuring stories and conversations about real lived experiences, live guests, and more. Nora will provide her signature sad, funny, uncomfortable and honest take on love, grief, life and everything that comes with it. It's sports — but wait! Hear us out. 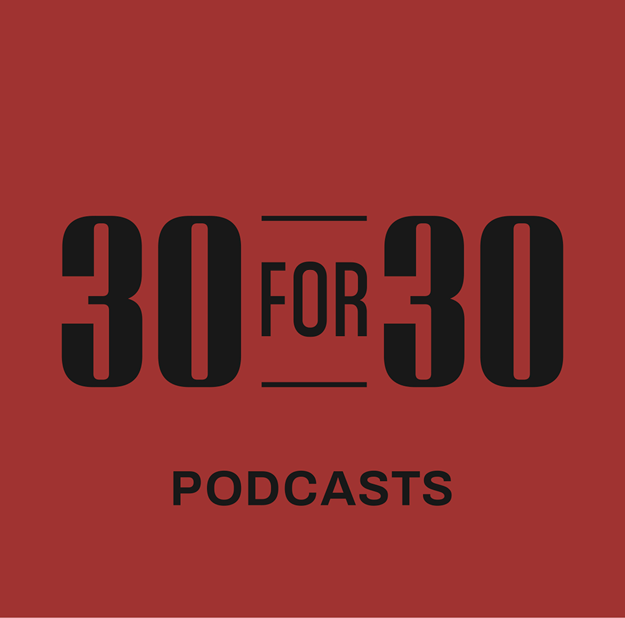 30 for 30 Podcasts are original audio documentaries from the makers of the acclaimed 30 for 30 film series. Telling sports stories like you’ve never heard before, they go beyond the field to explore how sports & competition affect our lives and our world. We're thrilled to present a never-before-heard premiere of an upcoming 30 for 30 episode. Come for a twilight in-the-dark screening, stay for host Jody Avirgan, producer Andrew Mambo, and their team as they pull back the curtain on how the show gets made. Third Coast’s version of Oscar-nominated documentary shorts—but in sound! We’ve selected some of our favorite short audio stories entered into the 2018 Third Coast/Richard H. Driehaus Foundation Competition (a.k.a, The Oscars of Radio). On October 7, at the Logan Theatre, Gwen Macsai of Re:sound & Sharon Mashihi of The Heart host two matinee screenings of Standout Shorts: a selection of phenomenal short audio documentaries, curated from this year’s Third Coast/RHDF Competition, from Arlie Adlington, Nanna Hauge Kristensen, Sayre M. Quevedo, Stephanie Rowden & Jonathan Zenti. Come to hear extraordinary audio shorts from around the world, and stay to meet + chat with some of the producers featured in this screening. Each week, investigative reporter Jeremy Scahill, with the help of special guests, peels back the headlines & gets to to the heart of the news of our time on Intercepted, from The Intercept. Join us for live taping of the show, with all eyes on Chicago. Featuring author, poet, and activist Dr. Eve Ewing; investigative journalist Jamie Kalven; community organizer and founding national director of BYP100 Charlene A. Carruthers; and professor and author Bill Ayers. You won’t want to miss it.